← Hurry, rest, there isn’t much time. 12ºC, 3/5 cloud, mod W.
Jobs done– marking while Dave measured the staircase; replacement part for the clock-radio arrived; paint some outside door-frames; go cycling, and enjoy feeling recovered. Every holiday is the same- feel semi-ill with tiredness for days on end, then come to life mid-week. Even the bike rode in a more sprightly manner. Those two hours yesterday carefully cleaning the derailler gave sweet, almost silent gear changes. The sun shone. 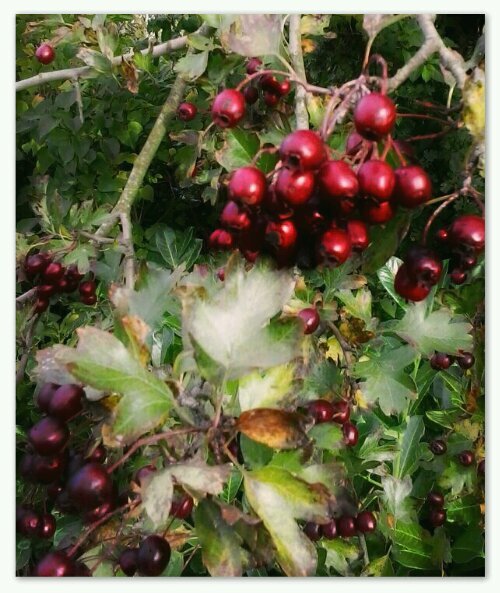 Hawthorn berries are made of ruby. This entry was posted in Cycling, Home, Repairs & Decor, Weather and tagged Cycling, DIy. Bookmark the permalink.